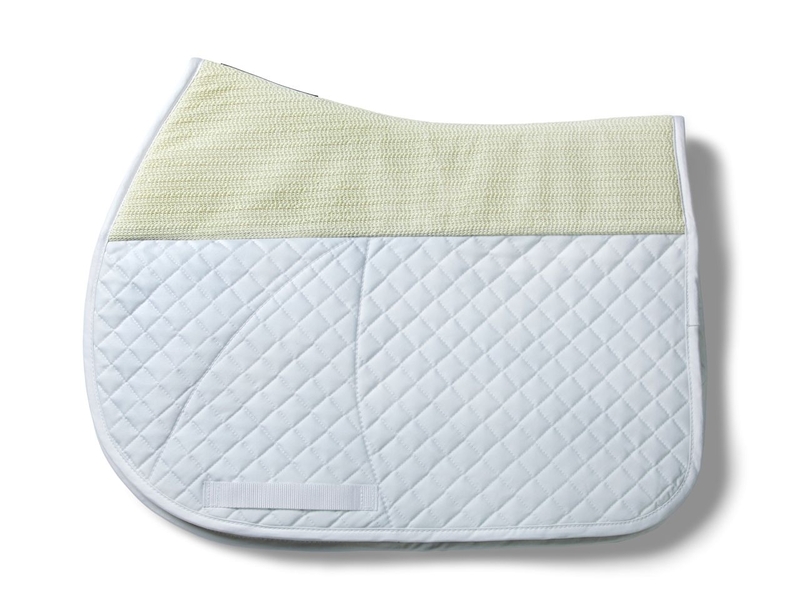 EN’s 12 Days of Christmas: Win a Saddle Pad from Success Equestrian! It's EN's 12 Days of Christmas! We'll be featuring one of our fabulous sponsors each day for the next 12 days. Some of them are offering an amazing promo code, while some of them are giving away awesome prizes. Be sure to check back each day for your chance to win. We’re winding down our 12 Days of Christmas giveaways, and we hope you’v enjoyed them as much as we have! Today, we’re spotlighting Success Equestrian, who makes some no-slip saddle pads that we absolutely love. Kate reviewed the monoflap edition of the no-slip cross country pad, and was pleased with how well it stayed put and didn’t show a lot of wear and tear after multiple rides. 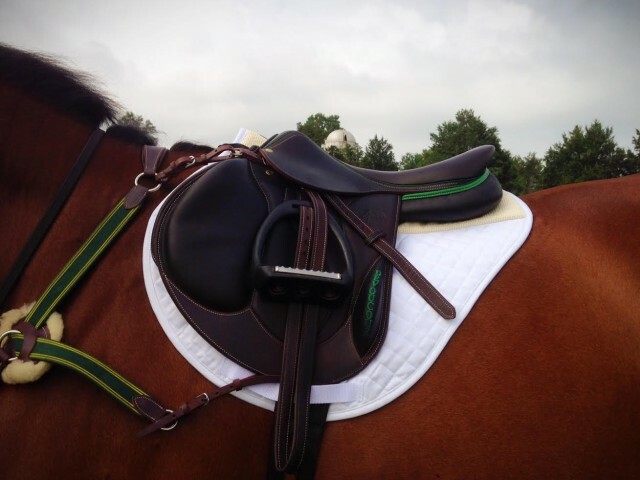 The pad offers a lot of support underneath the saddle while still allowing air to flow for your horse’s back to stay cool. We also love the monoflap design of the pad, as it’s difficult to find pads that will cater to the different design of the saddle. If you’re on the hunt for a new pad with classic styling and forward-thinking technology, the no-slip pads also have dressage and jumper options, as well as hunter contour if your wishlist includes one. 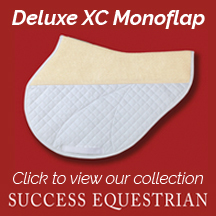 These pads are stylish enough for the show ring and comfortable enough for every day schooling. Success Equestrian is generously giving away your choice of one no-slip saddle pad (dressage, jumper/all-purpose/cross country) today only! Simply fill out the Rafflecopter widget below for your chance to win; we’ll announce the winner in tomorrow’s News & Notes! Best of luck, and many thanks to Success Equestrian for their support.